Major congratulations are in order for Miles Teller and Keleigh Sperry: the longtime couple just got engaged. The oh so stunning pair is currently on vacation in Africa where the 30-year-old Divergent star popped the question and the 24-year-old model's sister, Christie Sperry York, was the first to take to Instagram to proudly share photos of her sister's big day. "These two got engaged while on an African Safari over the weekend!! Can't believe the last Sperry girl is engaged! Love both of you guys to pieces and so incredibly happy for this new chapter in your love story! Now come home so we can celebrate ? @keleigh_sperry," Christie, who is a wedding and event planner, wrote in the caption of the slideshow she posted. OK, now how many people can say they had their engagement photo shoot with actual elephants chilling behind them? Truly magical. And let us take a moment to admire Keleigh's stunning ring from the selfie she must've sent to her family since Christie posted it too. Hey, this is an exciting time so we don't blame Christie for being so pumped about it all that she just had to share this major update in her sister's life with the world! Miles and Keleigh have been dating for a little more than four years and they've gone through some pretty intense experiences together, so seeing them emerge stronger and more in love than ever is truly lovely. Keleigh has posted some of the same photos from the special day too, giving us all another close-up of that ring in her slideshow. "Africa ❤️?," she wrote in the caption. 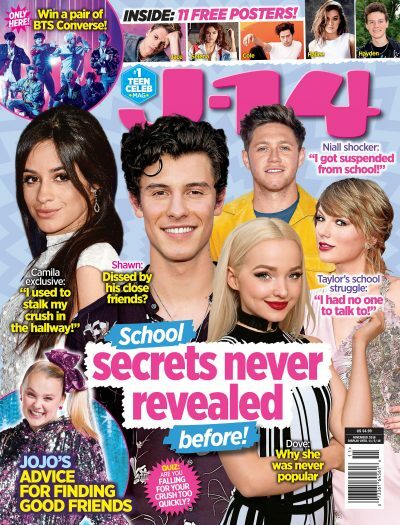 Join the J-14+ Facebook group to continue the conversation and access exclusive content. It's a safe space to obsess over celebs the same way you did when you were 14.